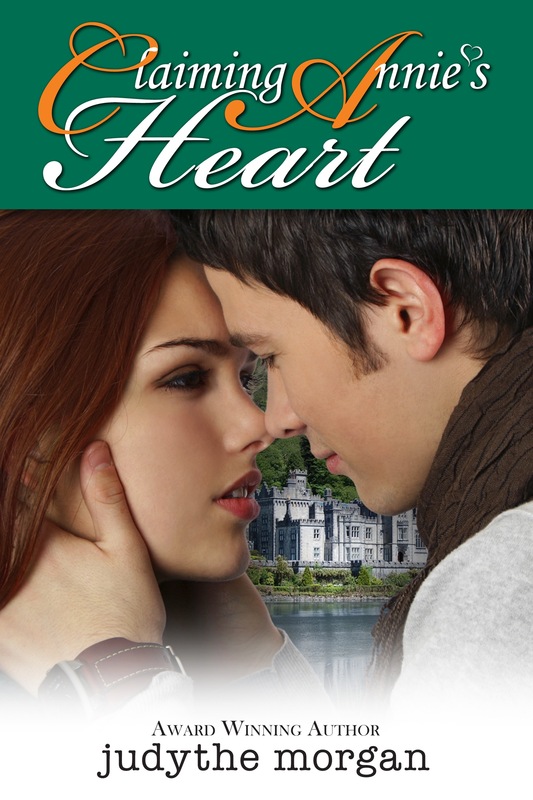 I’m interrupting my regular Make Me Think Monday blog for an announcement of my latest book release – CLAIMING ANNIE’S HEART. No, I’m not turning View from the Front Porch into a promo blog for my books–it’s just this Irish love story is special to me. Why? Because Annie’s story is set in Ireland. And, as most of you know (if you’ve read my ABOUT ME page, that is), Ireland is my most favorite place on earth, and I’m crazy about all things Irish. The idea for Claiming Annie’s Heart began on one of the many, many trips business trips to the Emerald Isle with my husband. We toured an Abbey on the rugged west coast. An English doctor built the lovely place as a home for his wife and child. When they died, the doctor left and sold the home. The castle became an Abbey and girls’ boarding school. That’s the place pictured on the book cover. As we walked the castle and fabulous gardens, I talked with the schoolgirls. My writer’s imagination kicked into overdrive with story possibilities. On a different trip, we spent time in Belfast during the Twelfth of July Orange Order marches. If you’re not familiar with the marches, read here. To learn more of the history of The Troubles in Northern Ireland read here. Annie Foster remains in Ireland after boarding school to nanny a widower’s infant daughter. Five years later, she accepts the widower’s proposal. Her first love Chad Jones, whom she believed deserted her, arrives on an undercover assignment weeks before the wedding investigating her fiancé’s connection with terrorists. He’s determined to change her mind and her heart her because he’s never stopped loving her. Annie’s heart is torn between the man she’ll always love and the young daughter of her fiancé whom she’s promised never to abandon.